PITTSBURGH, Pennsylvania - December 4, 2009 -- The Airlift Research Foundation, a Pittsburgh-based nonprofit organization that funds orthopaedic research and increases public awareness of traumatic limb injuries of military and civilian victims worldwide, is pleased to announce that retired First Lieutenant Ed Salau has joined their Board of Directors. Lt. Salau of Stella, NC, spent 12 years as an active duty Marine, reaching the rank of Staff Sergeant. Upon leaving the Marine Corps, he joined the North Carolina Army National Guard in 2000 and spent ten months in Iraq in 2004. While on a mission near Tuz, Iraq, the platoon that Lt. Salau was commanding was ambushed. Two rocket propelled grenades hit the side of his vehicle and blew off the armor plating of his Bradley Fighting Vehicle. The explosion seriously wounded Lt. Salau, resulting in the amputation of his left leg above the knee. 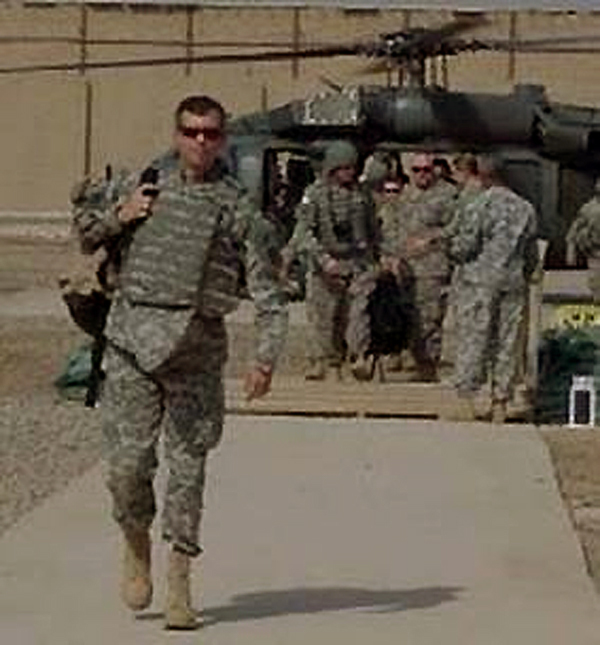 Lt. Salau was medically retired from the Army in April, 2005. He now works full-time on the staff of the Marine Corps’ Wounded Warrior Battalion-East, serving as the Charitable Organizations Program Coordinator. In addition, he actively participates in veteran’s organizations, helping other vets cope with injuries and challenges. He received a Bachelor of Science in Electronics Management from Southern Illinois University and a Master of Science in Business Administration from Boston University. "I am honored to join the Board of Directors, representing my fellow comrades with combat-related extremity injuries,” says Salau from his home in North Carolina. “I am also excited to work with the other board members to encourage extremity trauma research among the newest generation of young investigators. Whether on the battlefield or at home, patients deserve the best treatment that science can offer." Airlift Research Foundation was founded in 2008 to address the critical need for increased research and public awareness about traumatic limb injuries, a cause in which Lt. Salau greatly believes. The Foundation funds young researchers in the field of orthopaedics, with the goals of faster recovery from injury, greater return-to-duty rates, improved quality of life after service, and less money needed for long-term care and rehabilitation in military hospital systems. For more information about the Airlift Research Foundation, contact Director of Development Bill Lucas at (412) 661-7538 or visit www.airliftrf.org. About the Airlift Research Foundation Founded in 2008, the Airlift Research Foundation, a registered 501(c)(3) nonprofit organization located on the Web at www.airliftrf.org , is leading the charge to fund orthopaedic research and to increase public awareness of traumatic war injuries of military and civilian survivors worldwide. Research funding addresses the protection of limbs, treatment of injuries in the field, rehabilitation and quality of life-research that has immediate benefits for war survivors and future benefits for all orthopaedic trauma patients. Raising public awareness ensures that both the military and the public understand the enormous impact of extremity trauma, both in the field and at home. For interviews and high resolution photos, please contact Bill Lucas at (412) 661-7538.